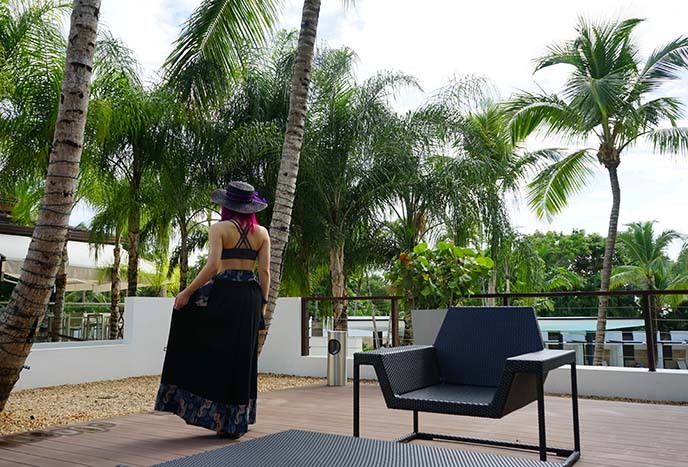 Casa de Campo resort review: our luxurious Dominican Republic hotel! 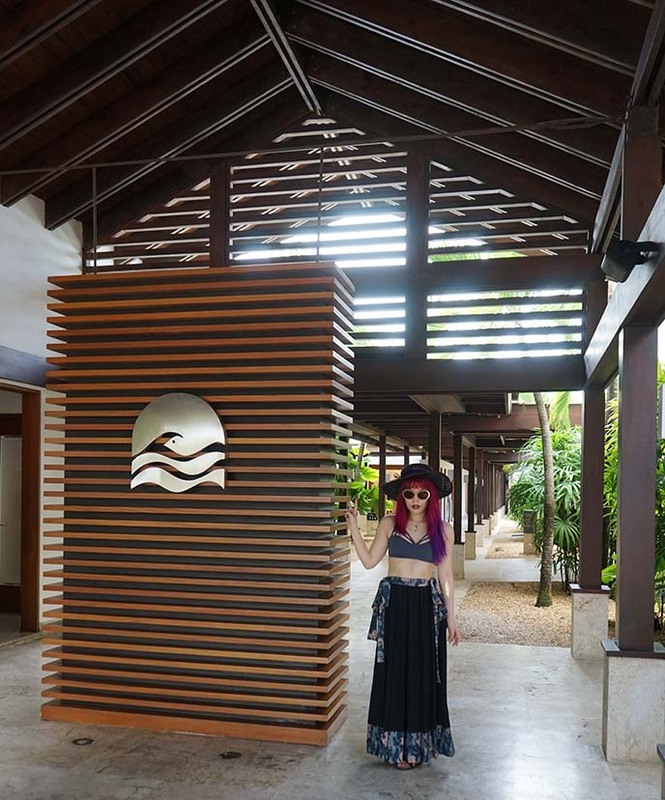 La Romana all-inclusive, restaurants. Winter… what’s that? 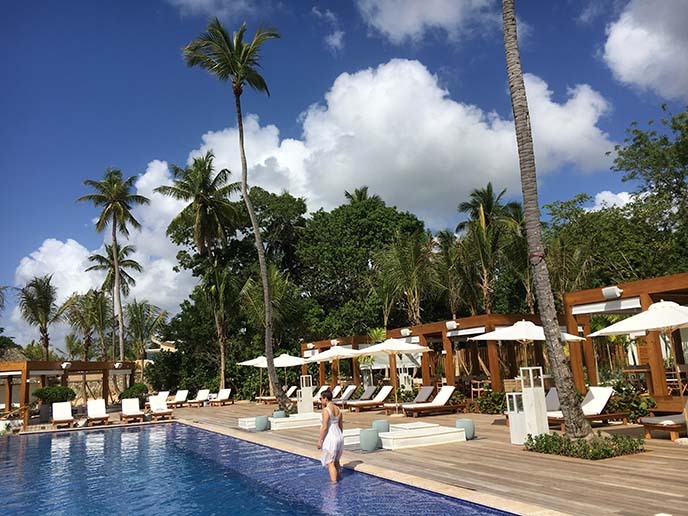 In early January, I escaped the cold by travelling to Casa de Campo Resort & Villas in the Dominican Republic! 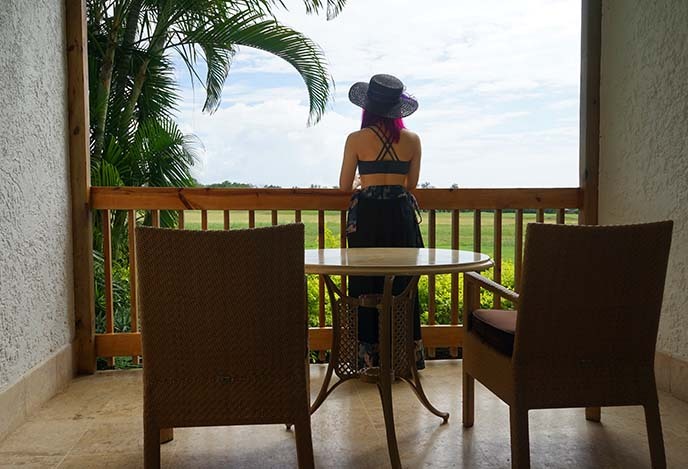 With 7000 acres of palm trees, warm beaches, a marina, golf courses and activities — it’s easy to see why Casa de Campo is one of the Leading Hotels of the World. My photographer and long-time friend Molly Weingart accompanied me to the Dominican Republic. We wanted to be surprised, so we didn’t do much research beforehand… and our jaws dropped when we saw this exquisite property. 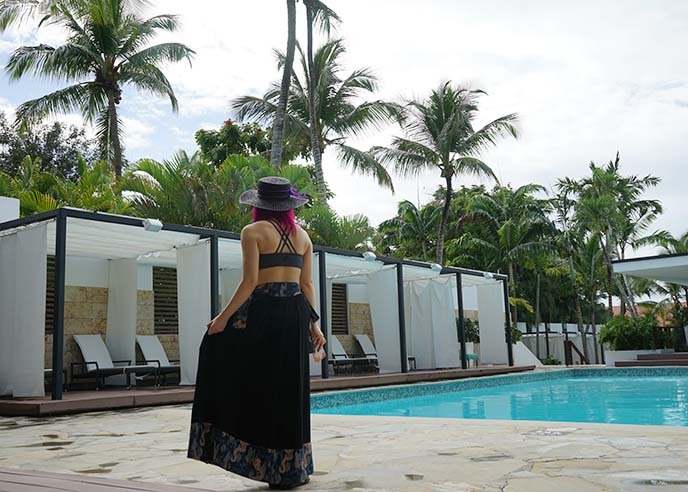 Casa de Campo isn’t your typical all-inclusive; it’s the most beautiful and luxurious resort on the island. 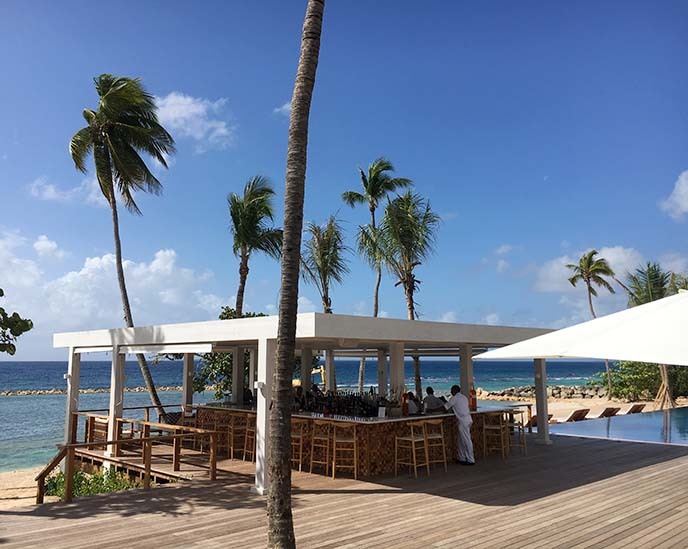 How to get here: Casa de Campo is a resort and community located in La Romana, on the southeast coast of the DR. Most international flights land at Punta Cana or Santo Domingo airport. From there, you can either take another short flight to La Romana airport, or have the hotel pick you up (the drive is about an hour long). 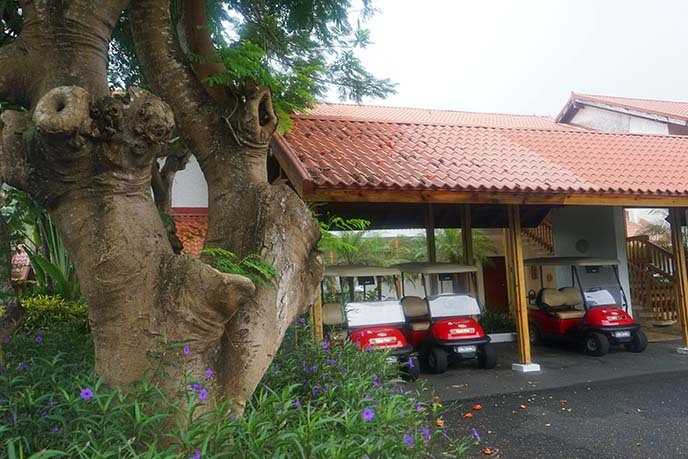 Casa de Campo was established in 1974, but recent renovations have modernized the buildings with an airy, warm Caribbean feel. 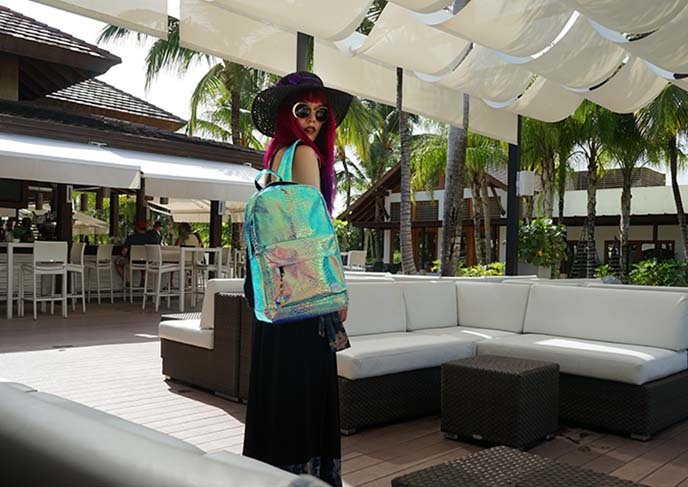 From the moment we arrived, we were in love with the peaceful, authentic feeling of this five-star resort. There’s nothing “touristy” or “Americanized” about the experience. Molly instantly bonded with the staff, who chatted with her in Spanish, and were always a step ahead of our needs. 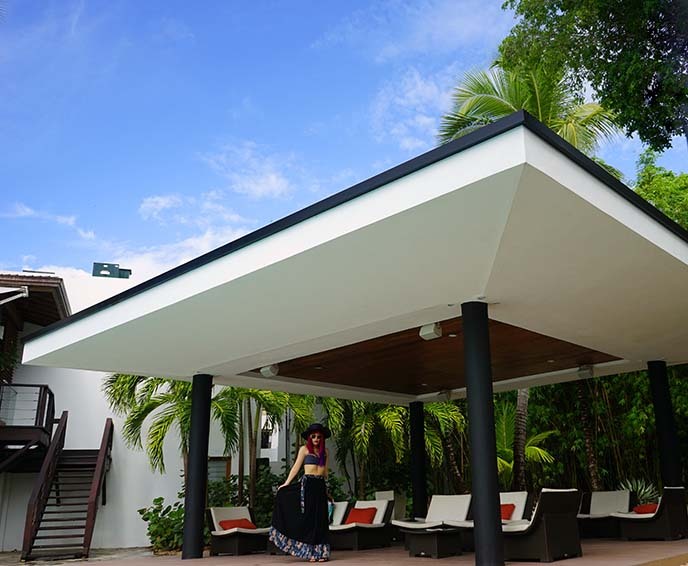 Casa de Campo has a variety of rooms to choose from. 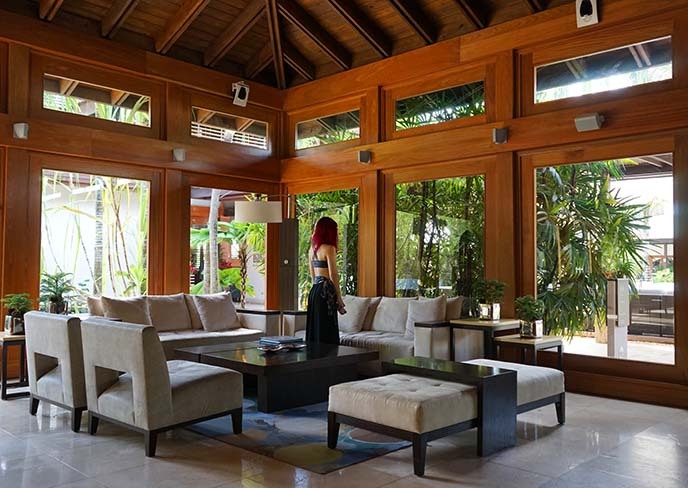 Our home base was this spacious suite, with our own patio overlooking the tropical grounds. 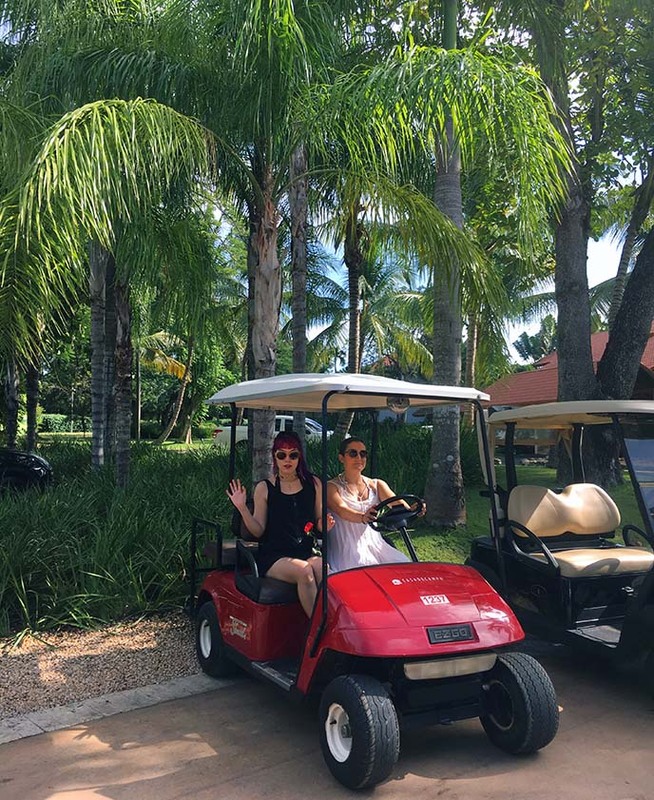 As a “Mario Kart” fan, I was tickled to learn that every guest received a personal golf cart! Molly and I had our own little 4-passenger mini car, marked with our room number. This way, we could easily get from place to place (remember, the grounds span thousands of acres). It was quite the adventure to learn how to put the golf cart in reverse, turn on the lights, and avoid oncoming traffic. For the safety of everyone on the resort, I let Molly do the driving! We went to the Dominican Republic in January, the pleasantly warm and dry season. The east coast storm brought brief rainshowers, but these let up quickly by the afternoons. Even if it’s raining, there’s plenty to do indoors. Our comfortable room had fast wifi, a flat screen TV, and giant bathroom with a separate dressing room. I loved spending time soaking in the bathtub, which came with L’Occitane bath products including an effervescent cube. 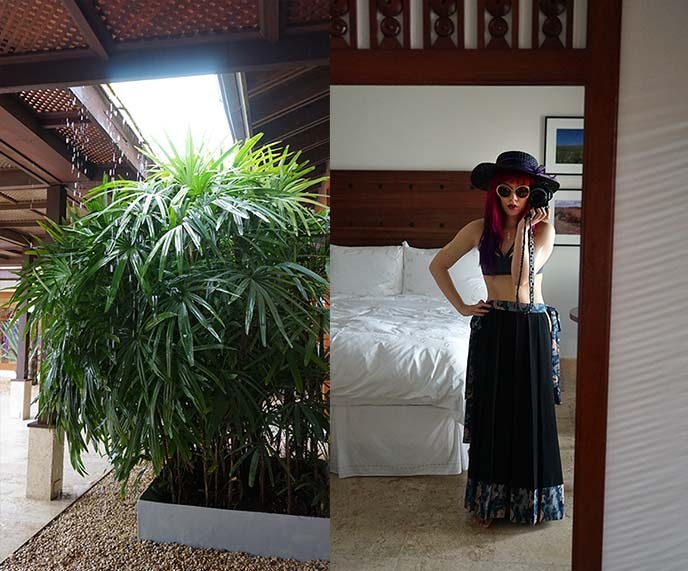 Here’s another look at my “tropical Goth” outfit, perfect for a relaxing getaway in the Caribbean. I’m wearing this black straw sunhat by Lack of Color Australia. My long Japanese skirt is h.NAOTO, and bra is Cyberdog. The sun is out — time to explore! 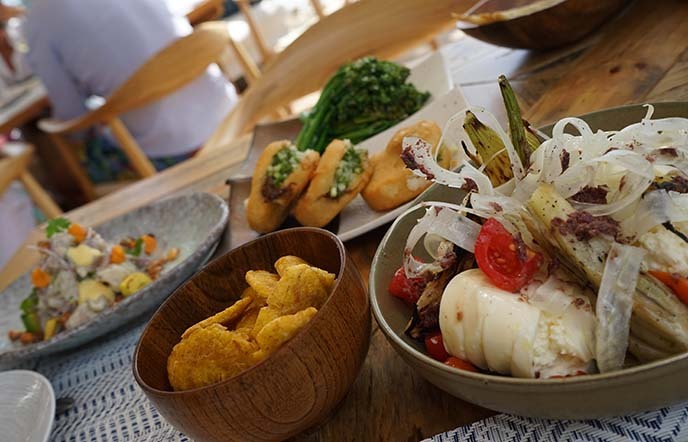 Casa de Campo’s all inclusive package is a stellar deal, especially if you’re a foodie and enjoy trying new activities. 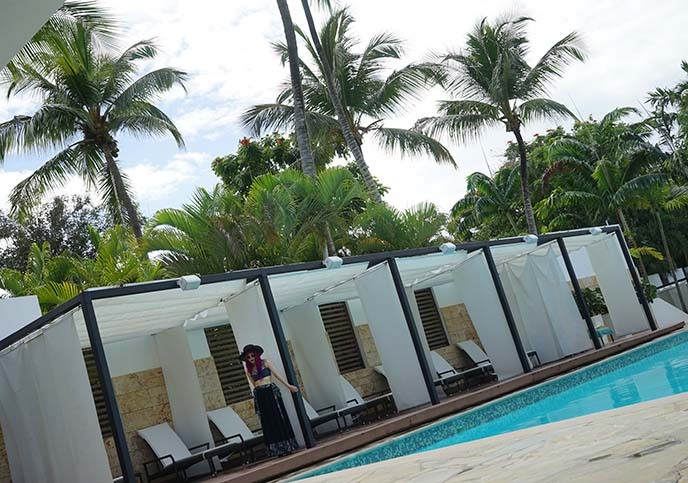 Can’t go wrong with the main pool deck, featuring modern cabanas and an in-water bar. 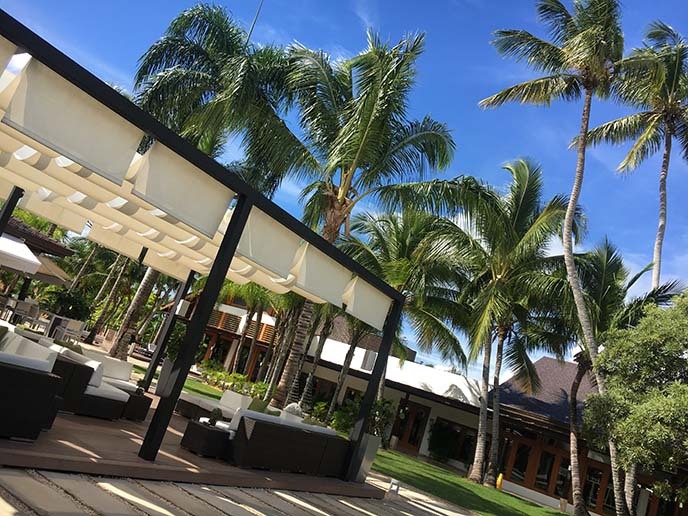 The resort’s guests were very respectful (you won’t encounter rowdy guys or noisy children), and you can always find a secluded spot to lounge. 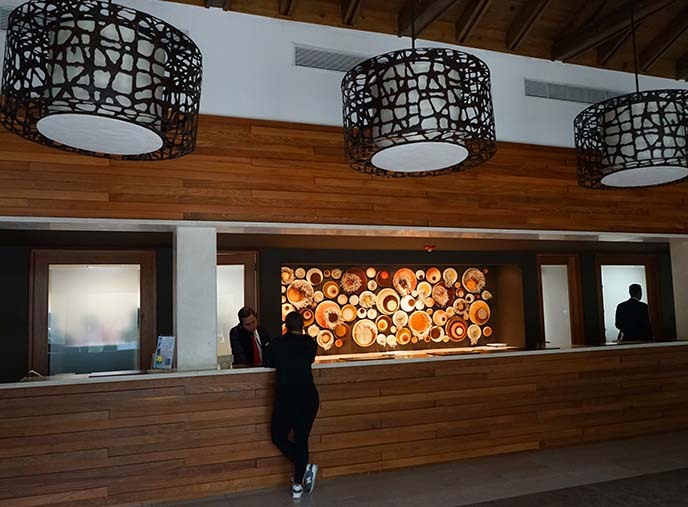 Casa de Campo’s common areas are also beautifully designed. High ceilings, rich mahogany and native stone create a relaxing tropical vibe. So many lounge areas to choose from! But first, a cocktail please. 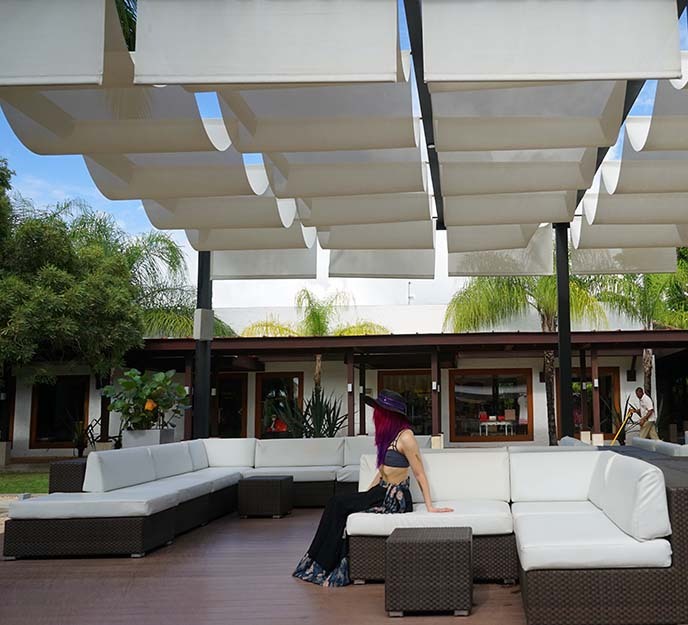 The bar at La Caña is located in the main area of the resort, with both indoor and outdoor seating. The friendly bartenders quickly get to know you by name, and prepare your favorite drink with a generous pour. La Cana bar is a popular gathering spot for guests, who come to watch the game on the big screen, dance to live music, or simply hang out on the L-shaped couches. Molly and I would often come here to grab a snack or drink, and chat with our favorite bartenders. 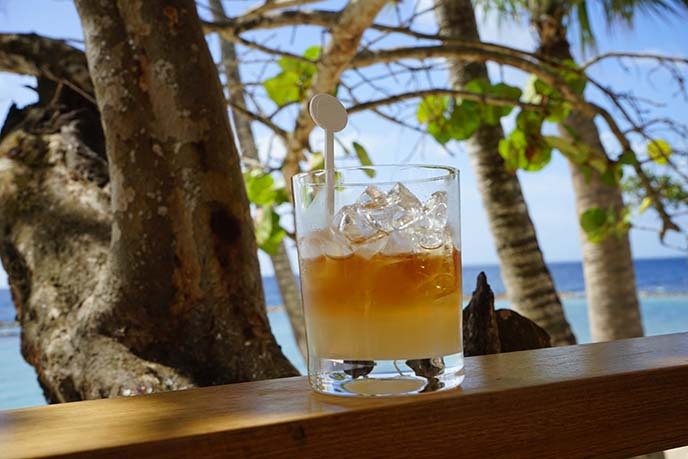 The Dominican Republic is known for its fruit and rum (Brugal, Barcelo, and Bermudez are local favorites). I combined these in the perfect tropical drink: freshly blended pineapple juice, with Ron Bermudez Aniversario dark rum! I also recommend their special “Coco Chanel” cocktail, a scrumptious mix of coconut puree, lime juice, white rum and black pepper. On the right: the bartenders also brew up an addictive latte with perfect froth, served with home-baked cookies. 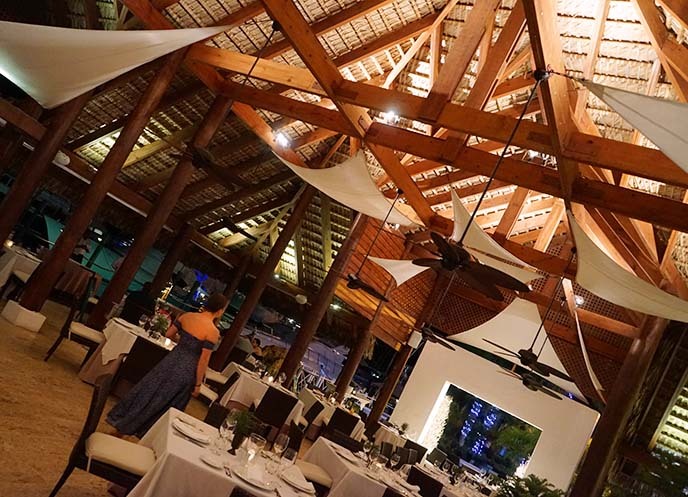 Unlike typical resorts, the dining at Casa de Campo is at a consistent high level. I got my “fish fix” at La Cana restaurant, and ordered Nicoise salad, grouper, and sea bass. All were prepared beautifully with Mediterranean flair. I’m usually not a fan of buffets. However, once again, Casa de Campo reversed my expectations. Lago Restaurant served up probably the best lunch buffet I’ve ever had, with dozens of Dominican dishes to choose from. 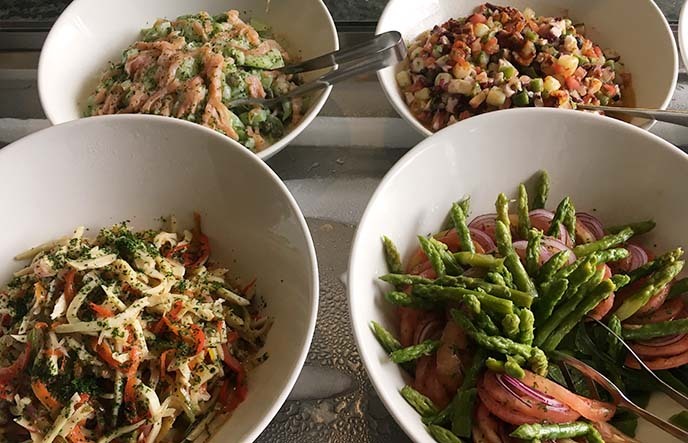 You could have mahi mahi, chicken, and steak grilled up fresh — or choose from these bright Caribbean salads. Or try a bit of everything, as I did. The creamed pumpkin, sweet potato mash, coconut fish, and roast chicken… I’m still thinking of this meal today! On the left, a snap of my pigeon beans and rice, chayote, avocado, and grill selections. We ended with tea and a selection of fruit and desserts; as you can see, I have a passion for passionfruit. Too stuffed to drive? Thankfully, the hotel bellmen can give you a lift any time. We discovered it’s especially fun to ride on the backseat of a golf cart when you’re a little tipsy! 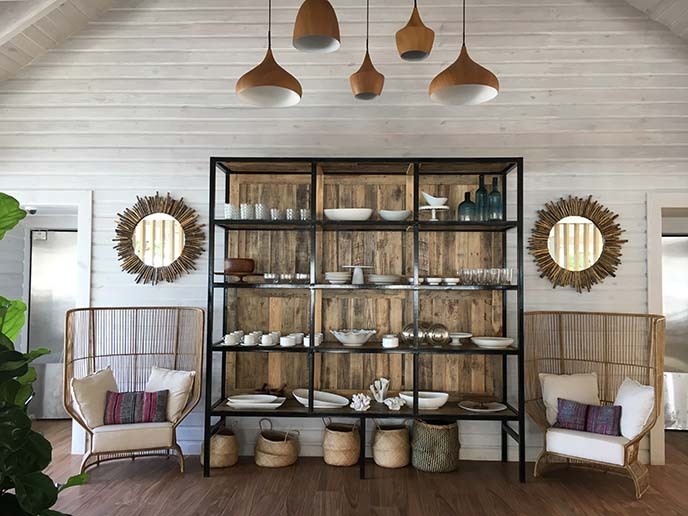 We carted to the resort’s newest addition, Minitas Beach Club. 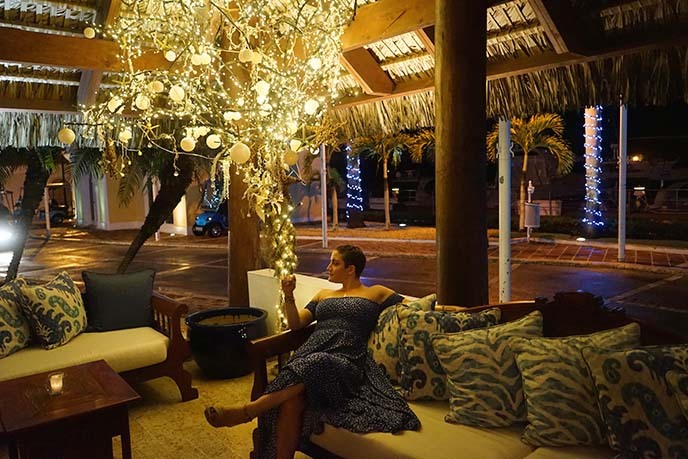 It’s located right by the ocean, and features an open-air bar with minimal lines. Molly and I immediately took off our shoes to wade in the 23 meter infinity pool. I love the modern, upscale design of the pool deck and lounge areas. 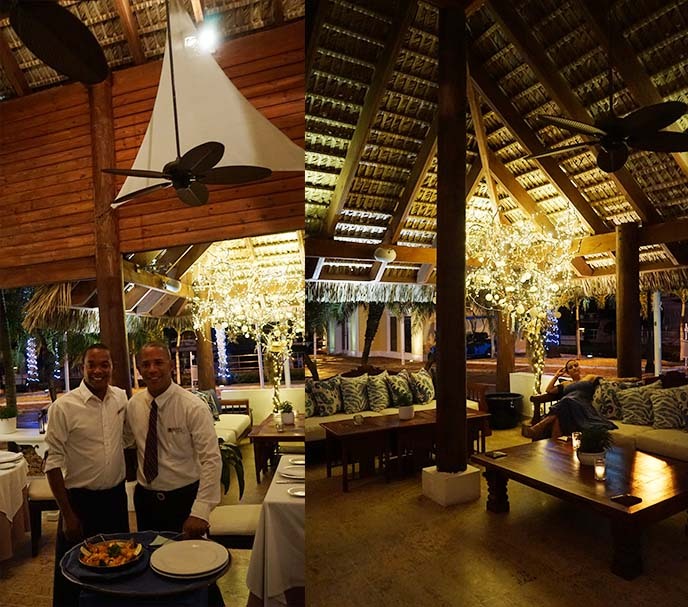 Minitas Beach Club Restaurant has a menu inspired by Mediterranean and Latin American cuisines. 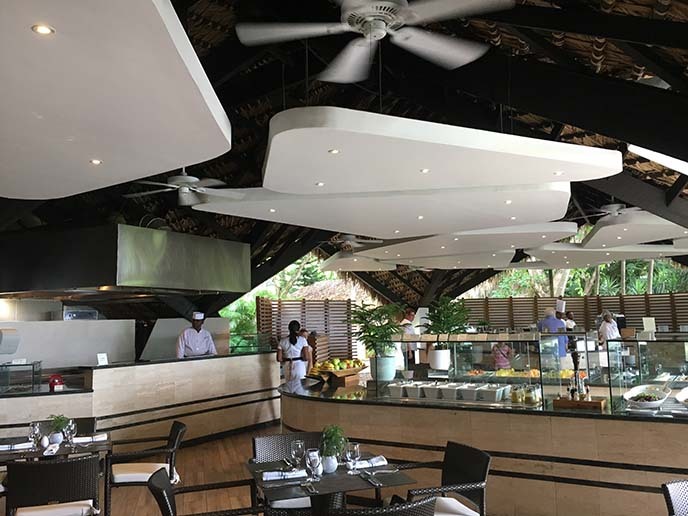 To match this casual beachfront, there’s an extensive selection of fish served light, clean and bright — as well as a selection of vegan and gluten-free options. We dined on arepas, fried plantains, ceviche, and burrata. A pleasure to listen to the sounds of the ocean, while dining on colorful salads and vegetable dishes. As you can see, there are so many different areas to explore in Casa de Campo. 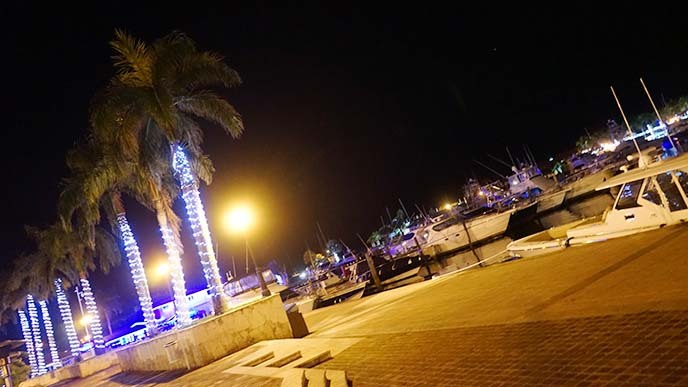 The community also includes The Marina, where you’ll find multi-million dollar yachts bobbing in the water. It’s a charming area with art galleries, boutiques and restaurants amidst cobblestone paths. 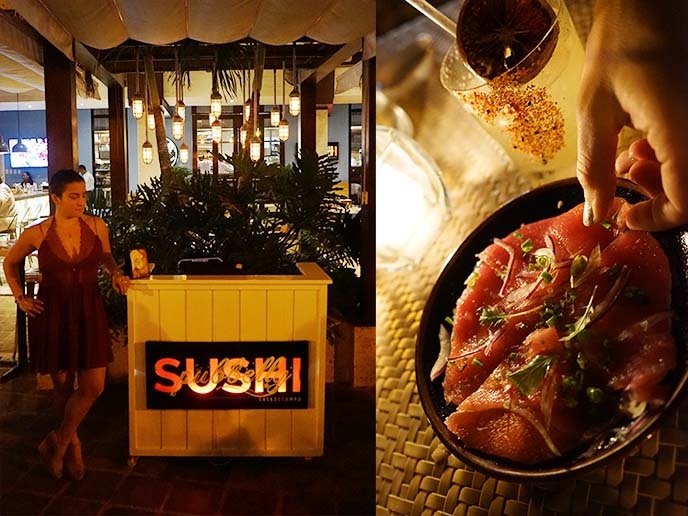 After window-shopping at The Marina, we went to Pubbelly Sushi for what Molly calls the best sushi of her life. (She’s planning to visit Miami, just so she can eat at their original location!) She says, “I thought they did a great job of respecting traditional dishes while playing with the creativity allowed in modern cuisine” — and I wholeheartedly agree. 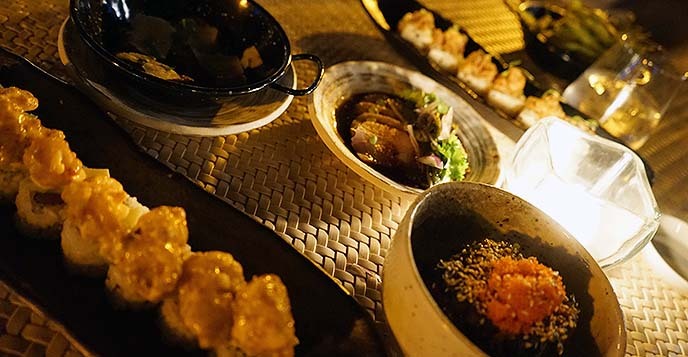 Our waiter, Cezar, suggested innovative dishes such as the Tuna Pizza (with crispy tortilla, garlic aioli, and truffle oil), short ribs gyoza, and Tigueraso sushi (shrimp tempura, spicy tuna, avocado). We were delighted by unexpected combinations like dates with chorizo, and brussel sprouts with miso. Be sure to order the unique cocktails, made with Japanese spirits like umeshu, sake framboise and vodka-sake. And leave room for the berries and cream dessert of dreams. We walked off the meal with a stroll in the Marina, and came across this metal statue. Molly’s red dress made her the perfect dance partner for the bull. At La Casita, we ordered passionfruit rum cocktails, followed by sangria with fresh fruit. What a treat to sip these drinks under tall sail-like callings, while yachts pass by in background. 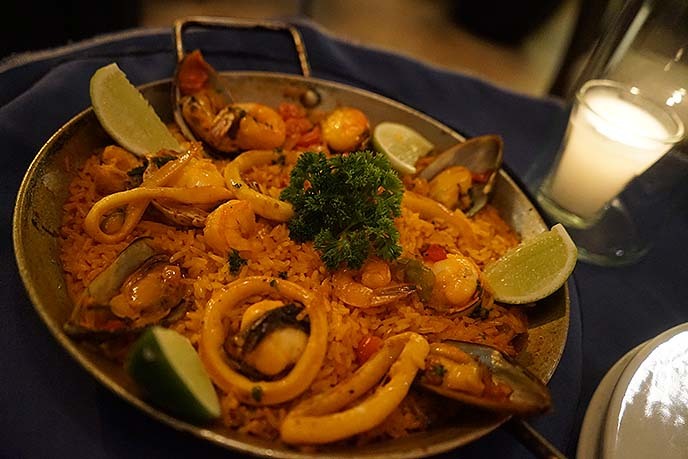 It was easy to choose our main course: seafood paella. The servers plated this beautiful mix of Spanish saffron rice and seafood at our table, and we finished up every last grain. 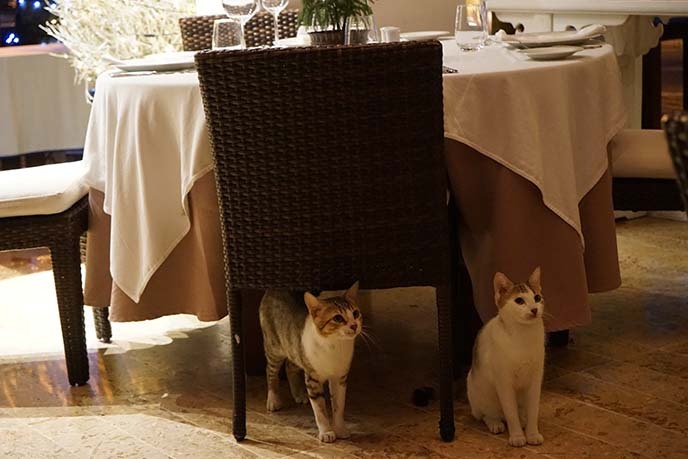 As we dined al-fresco, we got a visit from some furry friends. It looks like the cats want a piece of shrimp! 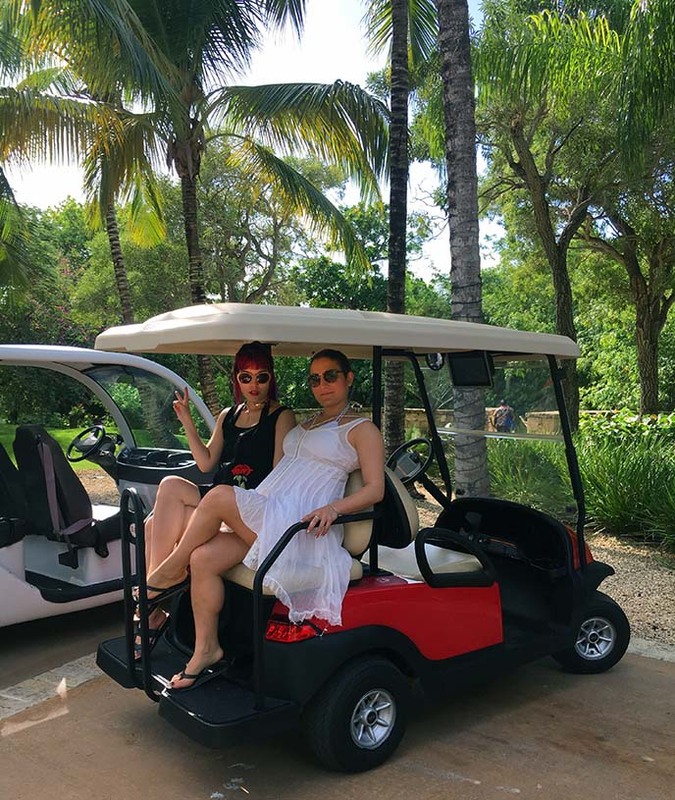 Finally, we rode our golf carts to Altos de Chavón, and found ourselves in a re-created 16th century Mediterranean village. This project as conceived by Dominican architect, Jose Antonio Caro, and Italian designer / cinematographer Roberto Coppa. The quaint village includes a 5000-seat Grecian-style amphitheater that has held performances by Andrea Bocelli, Julio Iglesias, Sting and Carlos Santana. 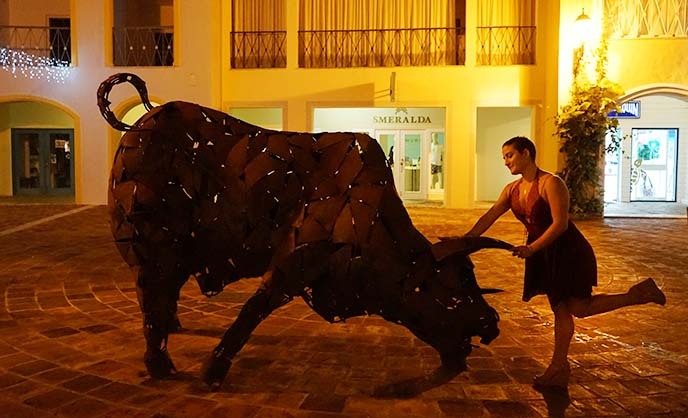 Altos de Chavón is a cultural center that lets guests meet artists from all over the world. In the daytime, you can pop into studios dedicated to pottery, weaving, silk screening and other media. 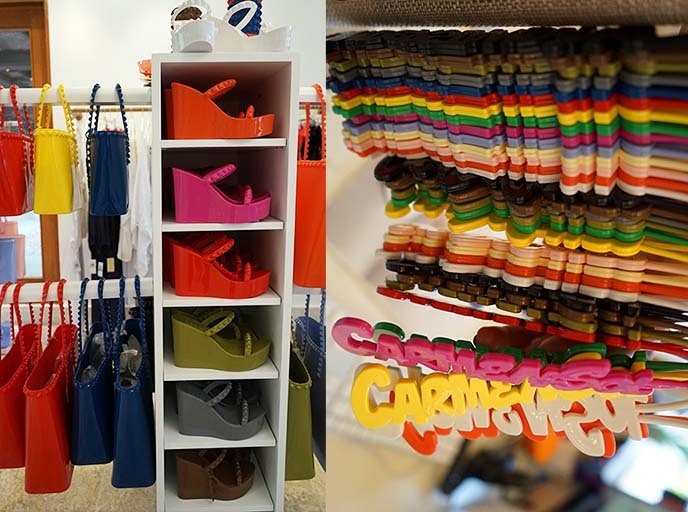 The village is also home to the Altos de Chavón School of Design, which is affiliated with Parsons in New York. At night, St. Stanislaus Church glows next to sweeping views of Chavón River. 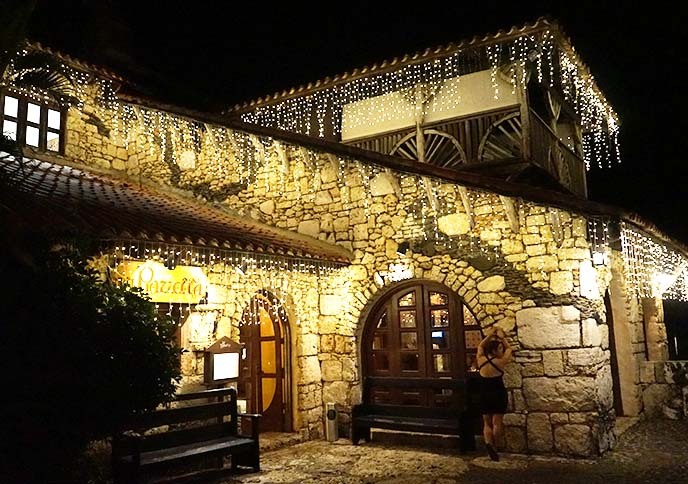 Since Altos de Chavón has a Mediterranean feel, it was fitting that we had dinner at this rustic Italian restaurant, La Piazzetta. We entered what looked like a home in the Italian countryside, lit with candles. 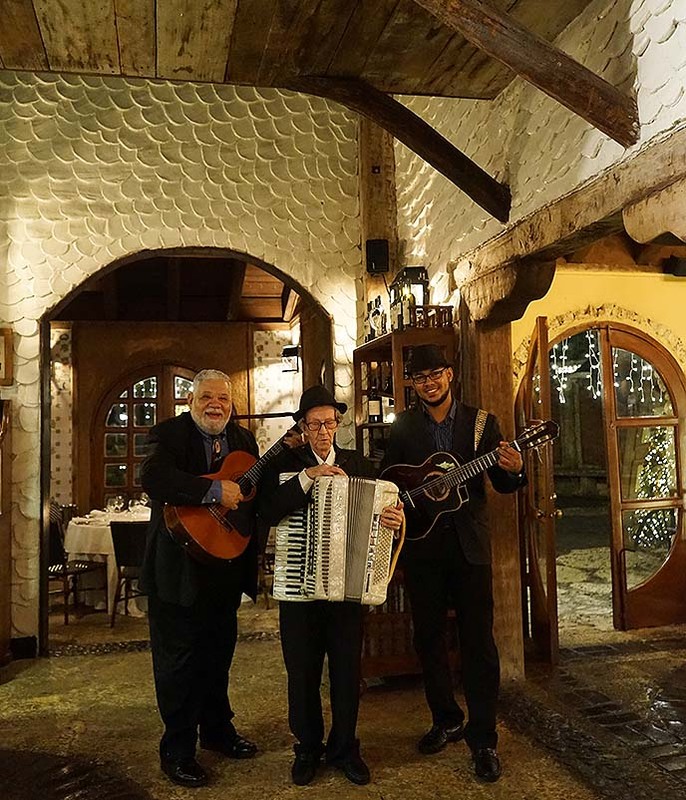 This sweet trio serenaded us with traditional songs, while we eyed the antipasti bar and handmade pastas. 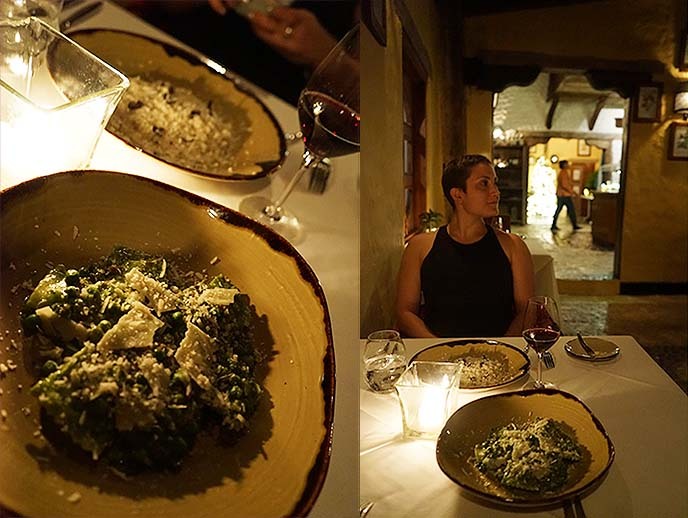 Red wine, creamy black truffle risotto, and green pea ravioli with Parmesan… what else does one need in life? La Piazzetta’s flavors are as lovely as anything I’ve had in Italy; in fact, this was the best pasta and risotto I’ve had in a while. We continued with filet mignon and truffles, and melt-in-your-mouth tiramisu. 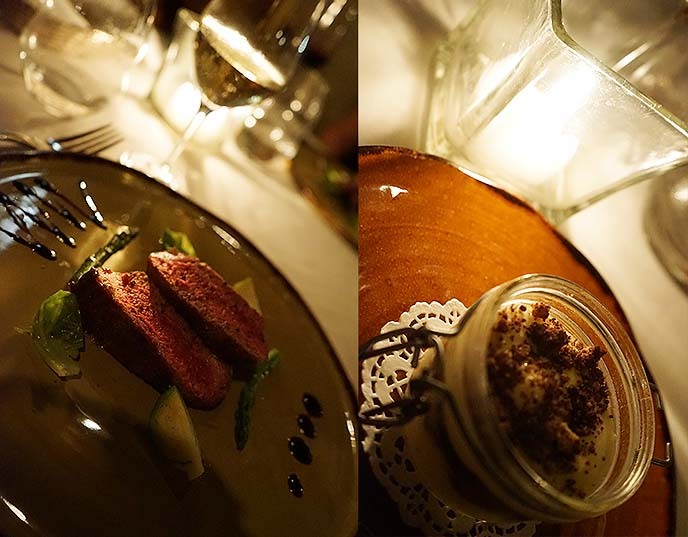 Trust us, Casa de Campo’s dining is outstanding and will satisfy even the most jaded foodie. Back to La Cana bar for a nightcap, and some dancing! 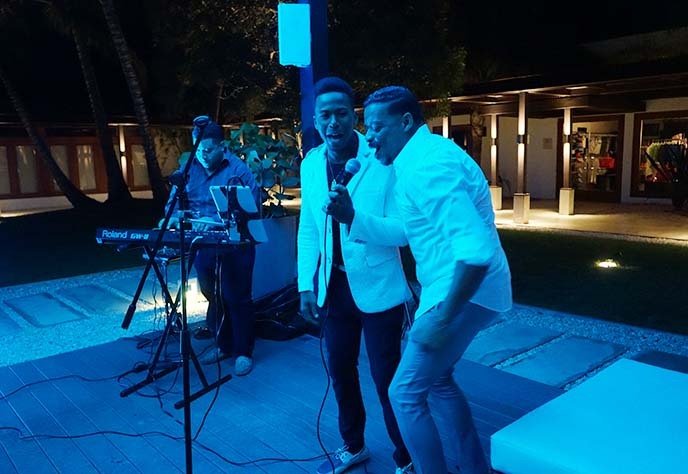 Every night, Casa de Campo brings in live music to the lounge. 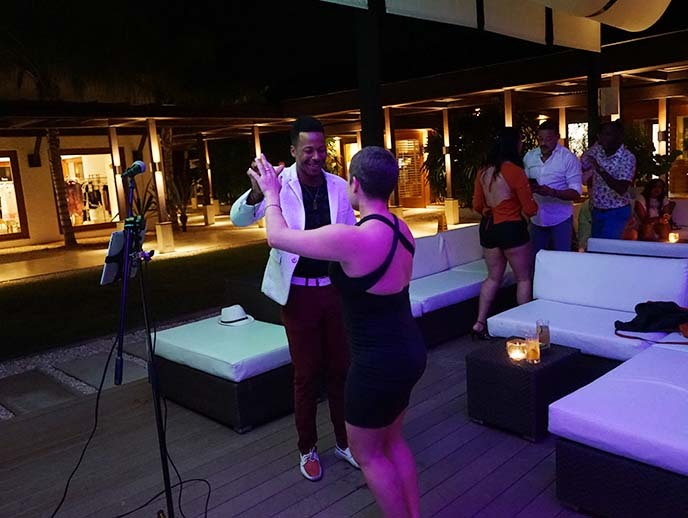 Singer Daniel Castro Arias showed us how to dance the bachata (a style of dance from the Dominican Republic). The atmosphere got lively as more guests took to the dance floor. We watched them sing their hearts out to Toño Rosario – Dale Vieja Dale, while hopping back and forth — a memory that will always make us smile! 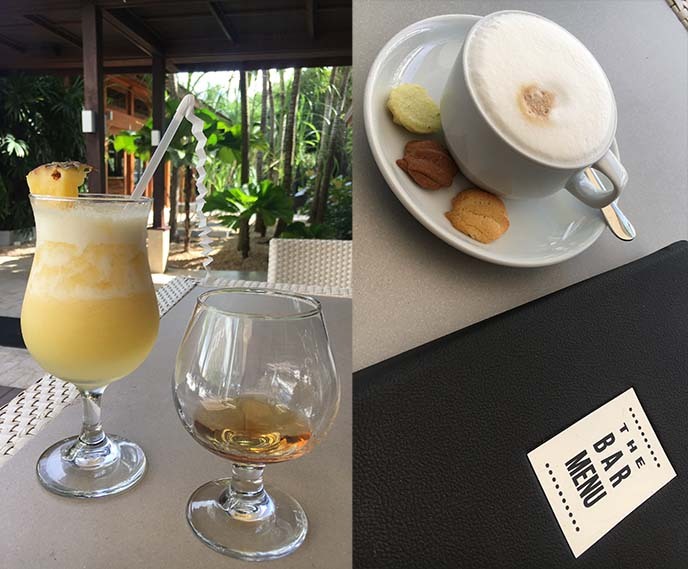 Casa de Campo was the perfect winter getaway to the Dominican Republic. The resort exceeded our expectations in every way, with world-class food and amenities in a picture-perfect setting. Now that I’m back in cold weather, I’m keen to return to the tropics as soon as I can. 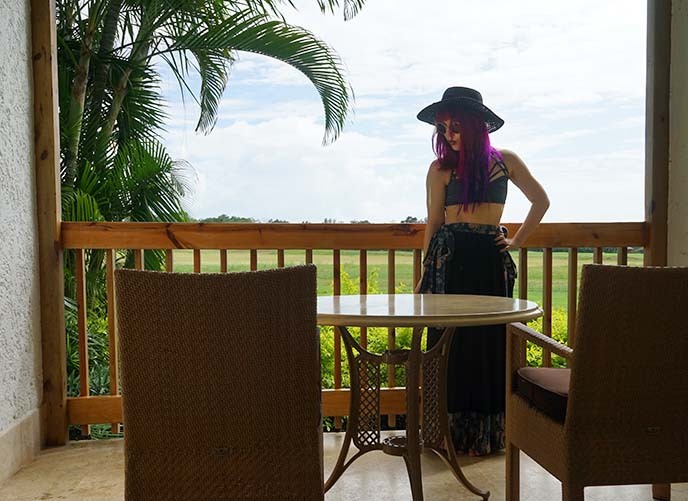 PS: this is only Part 1 of our Caribbean adventures; stay tuned for the next story featuring the beaches and activities. Cuba vintage car tour with Havana Urban Adventures! Renting a classic convertible, Callejon de Hamel Santeria. Thanks for the amazing trip! You make it look rad. 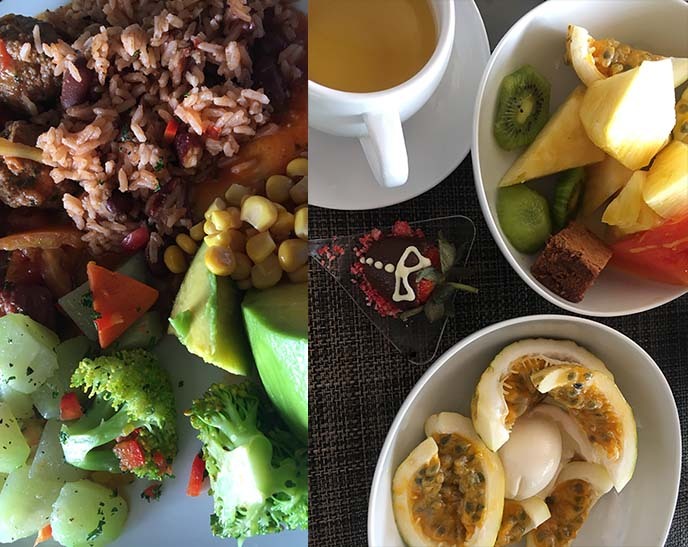 The food looks better than any resort food I’ve seen! I have been to Turks and Caicos, this makes me wanna return and check out DR too………. Wow! Beautiful both of you. Lovely resort. I have it on my wish list now.